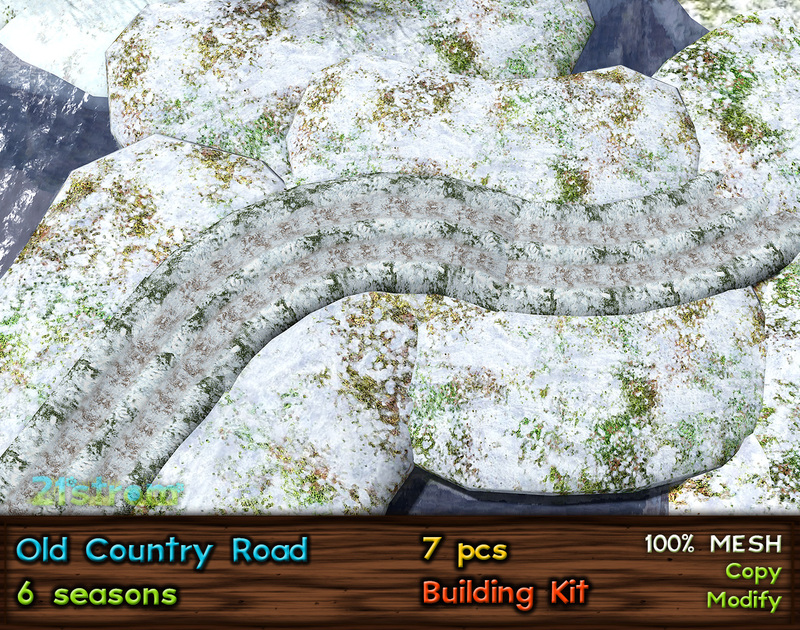 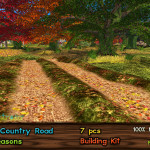 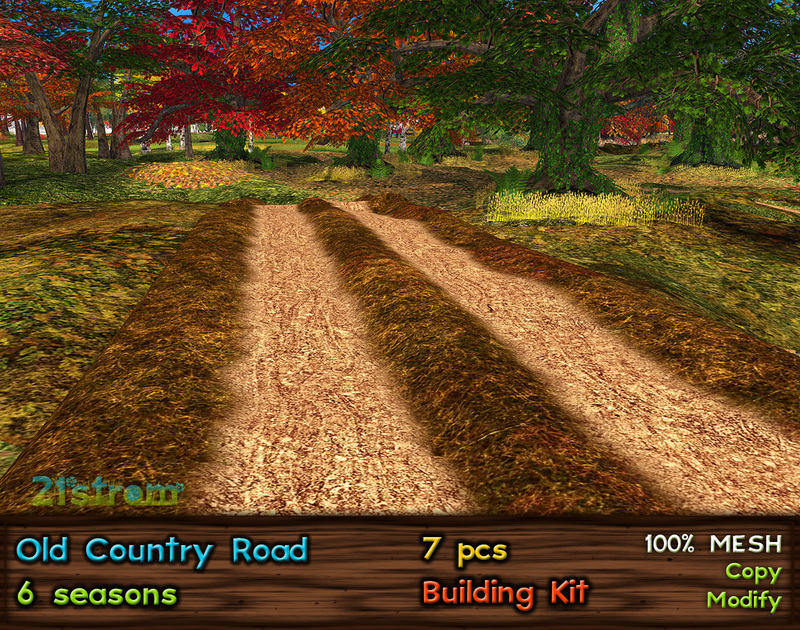 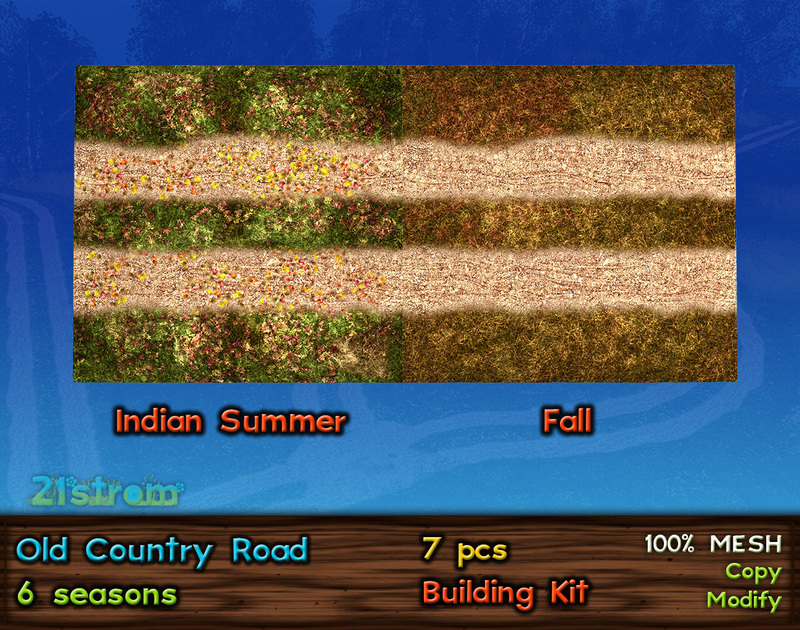 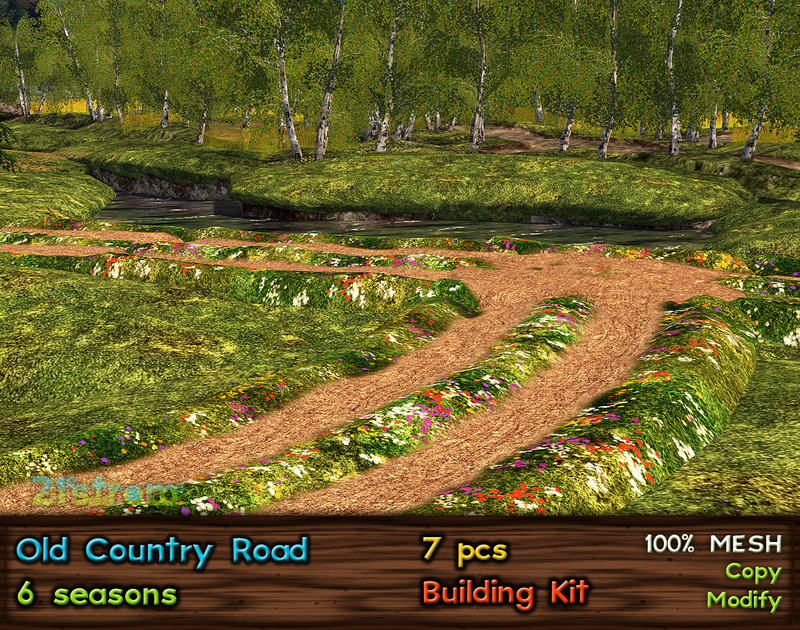 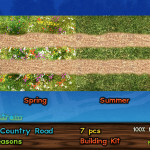 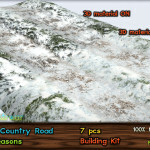 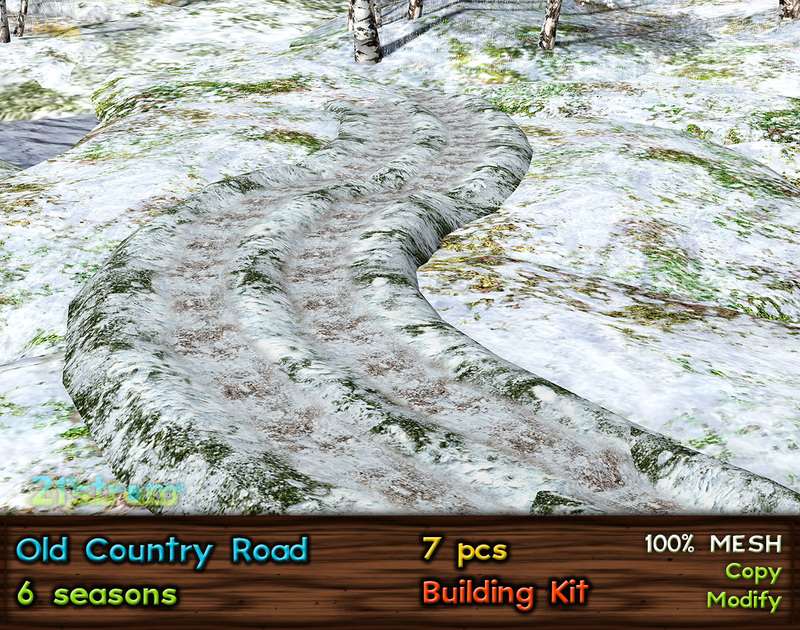 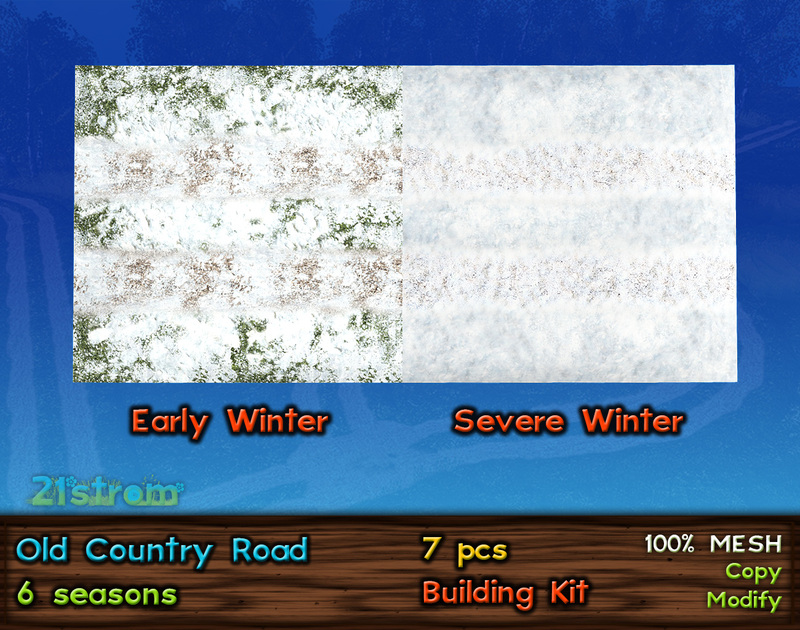 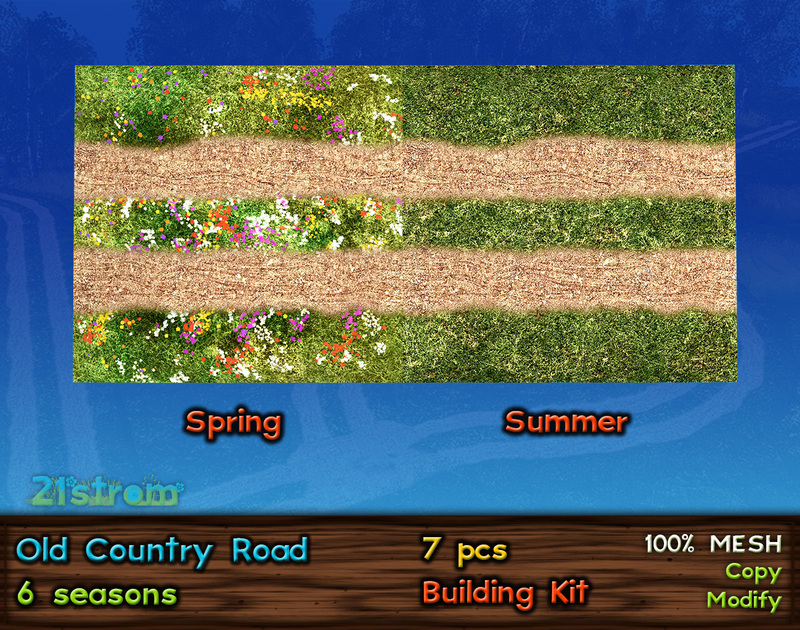 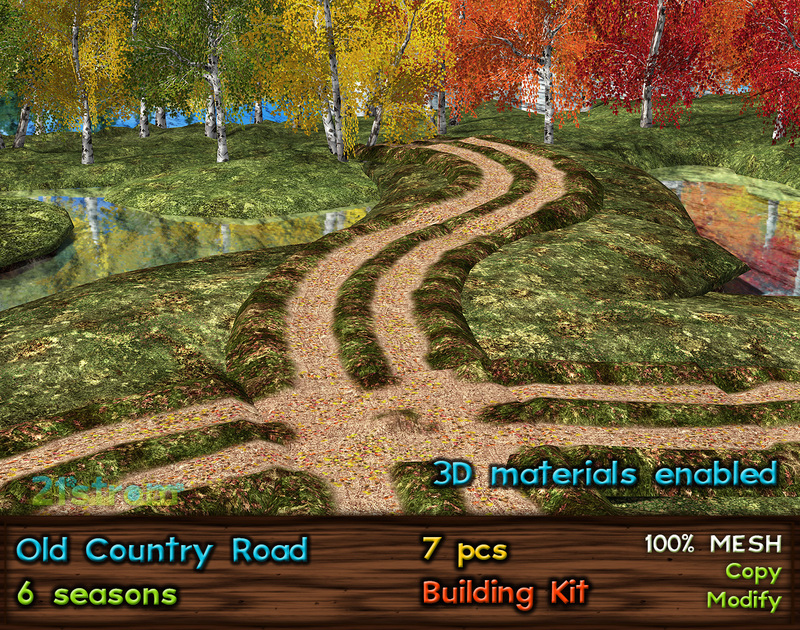 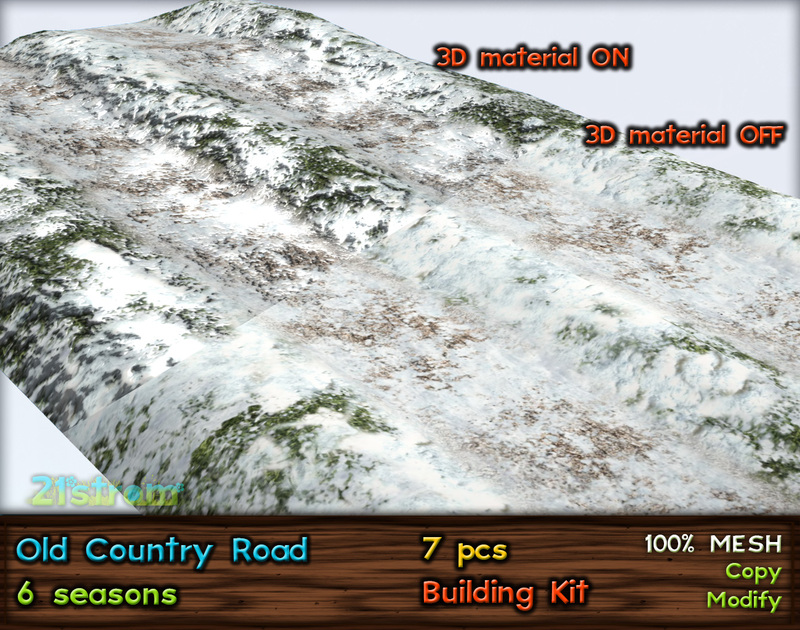 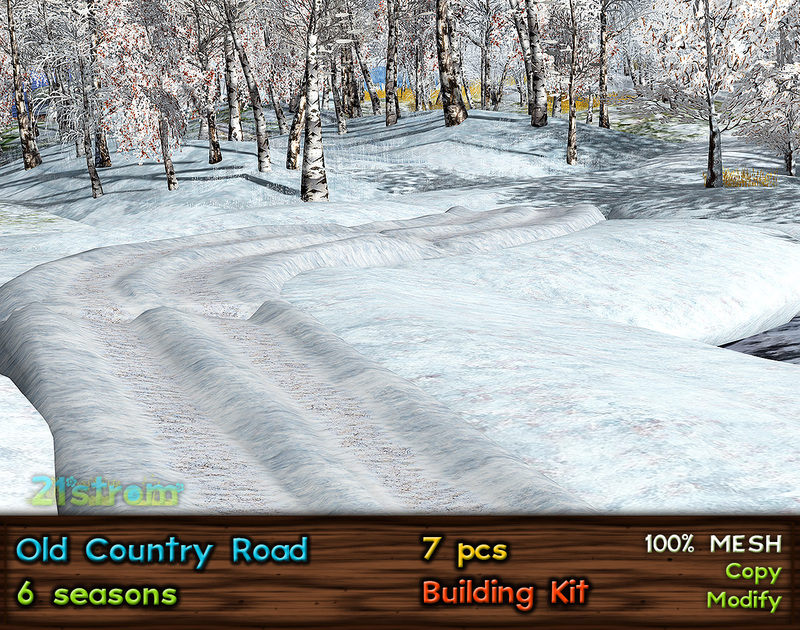 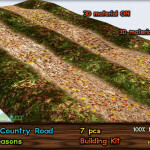 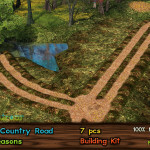 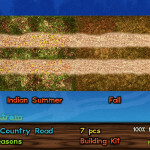 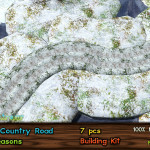 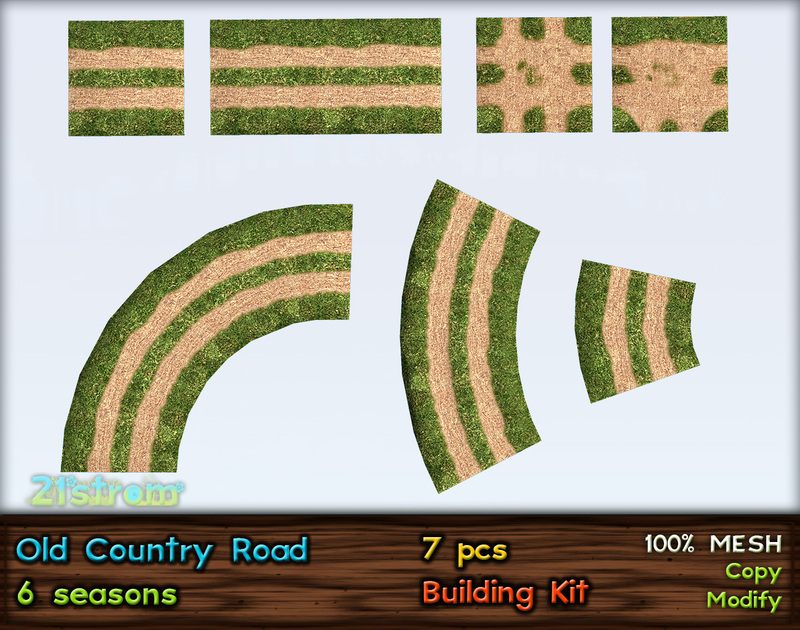 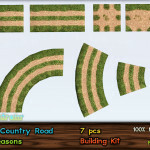 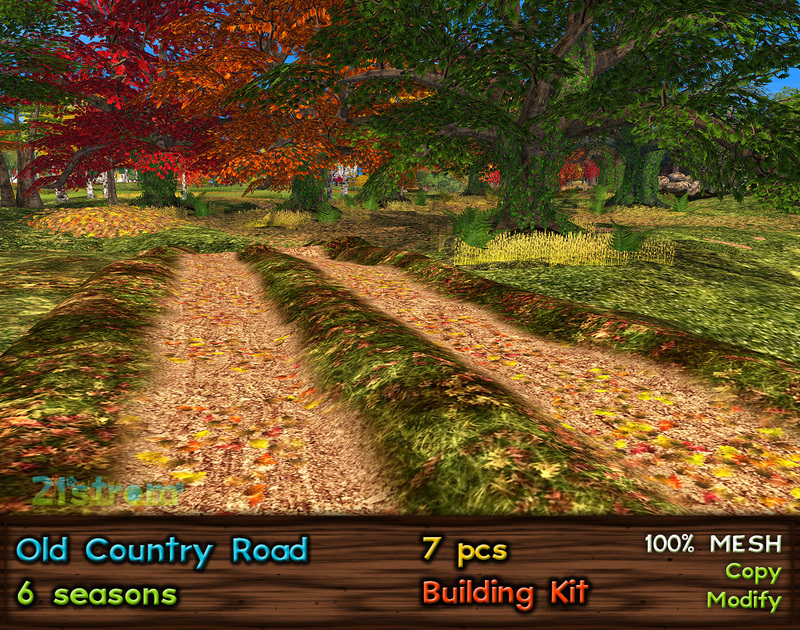 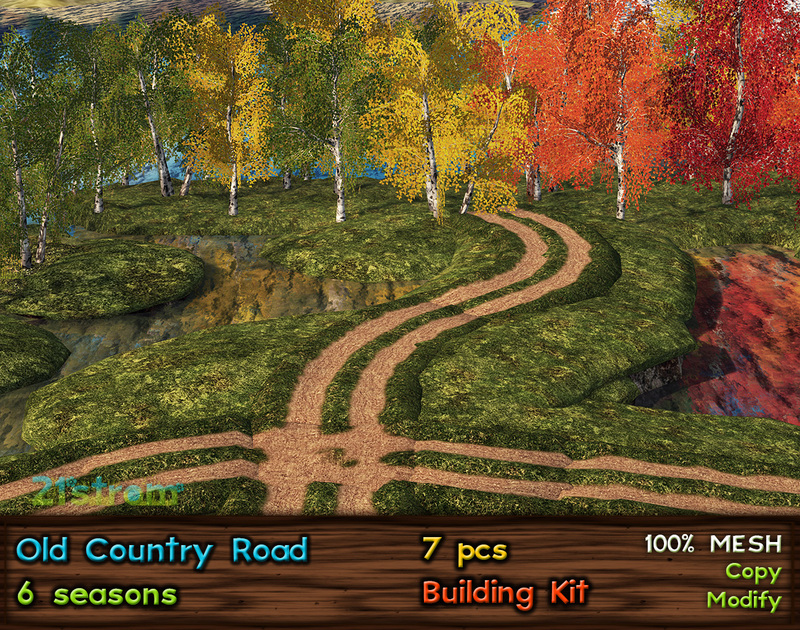 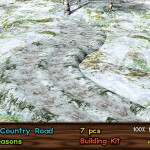 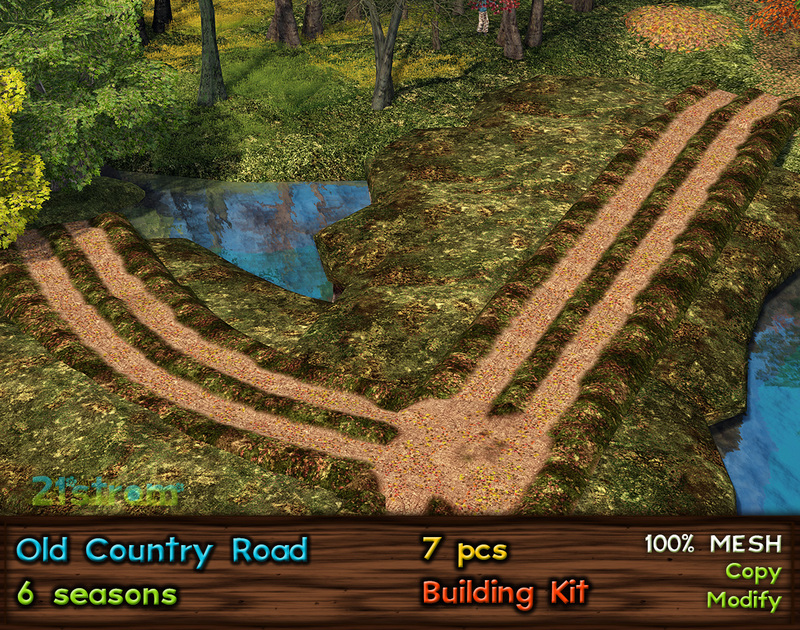 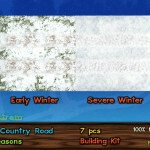 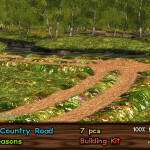 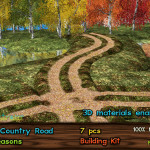 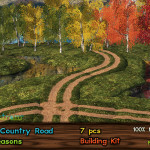 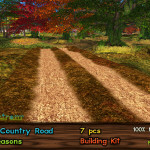 OLD COUNTRY ROAD is a 7 pieces building kit of mesh walkable roads in 6 seasons. 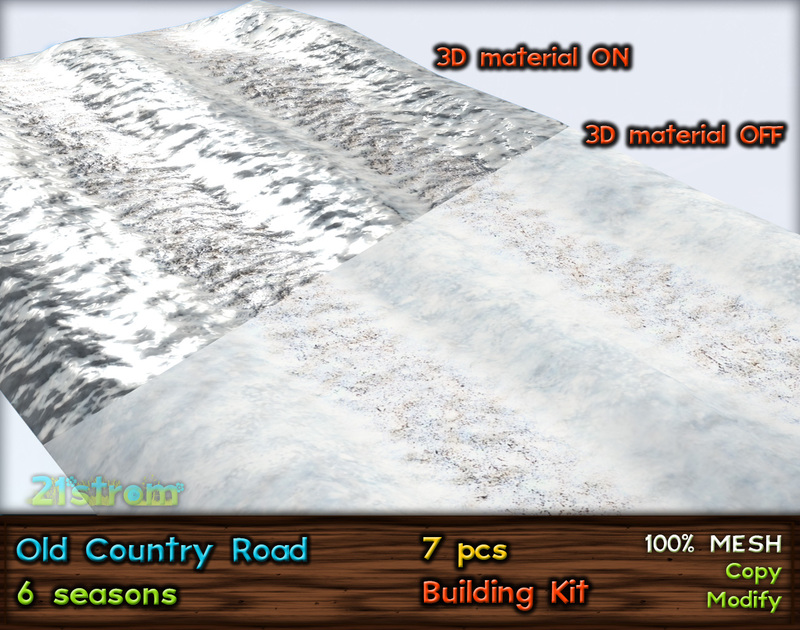 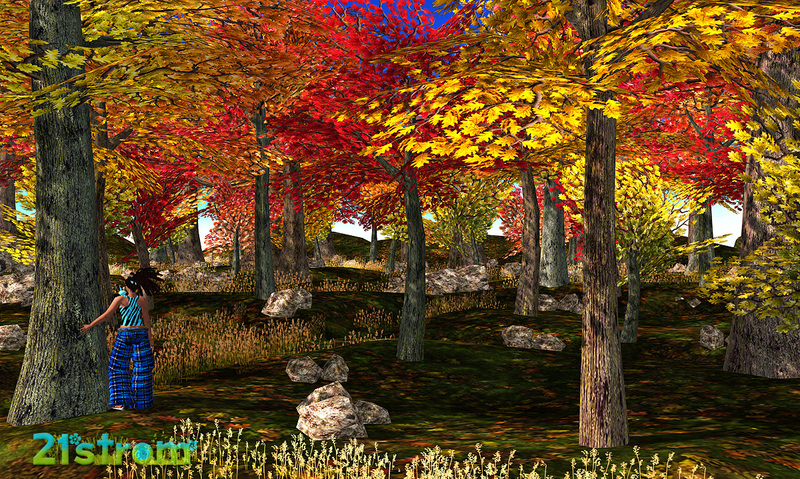 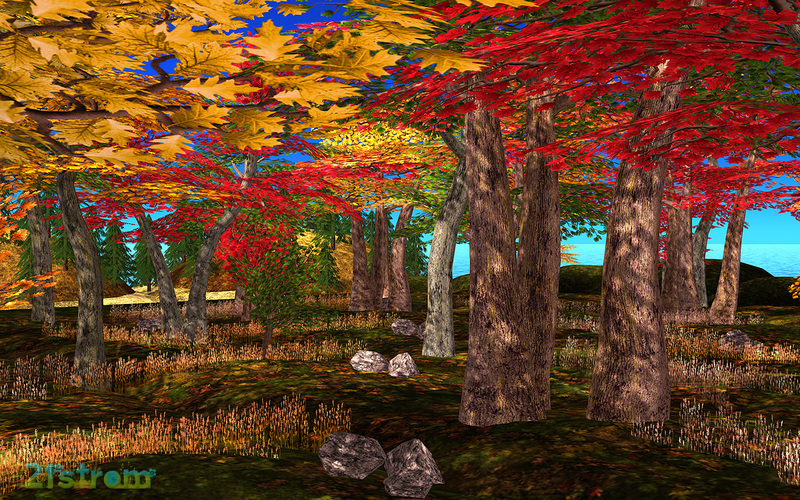 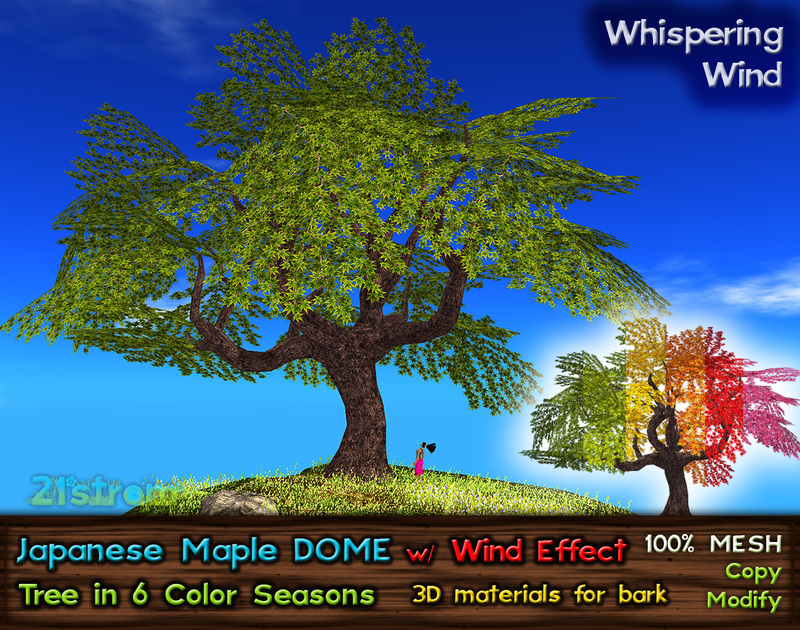 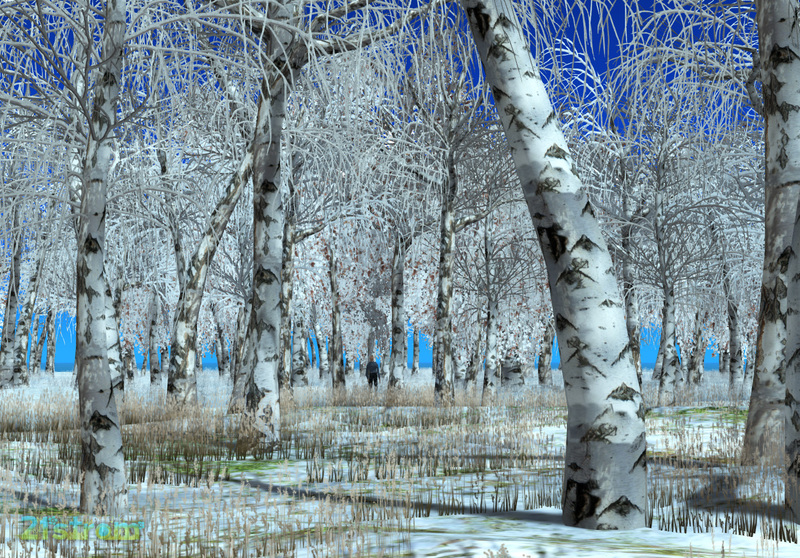 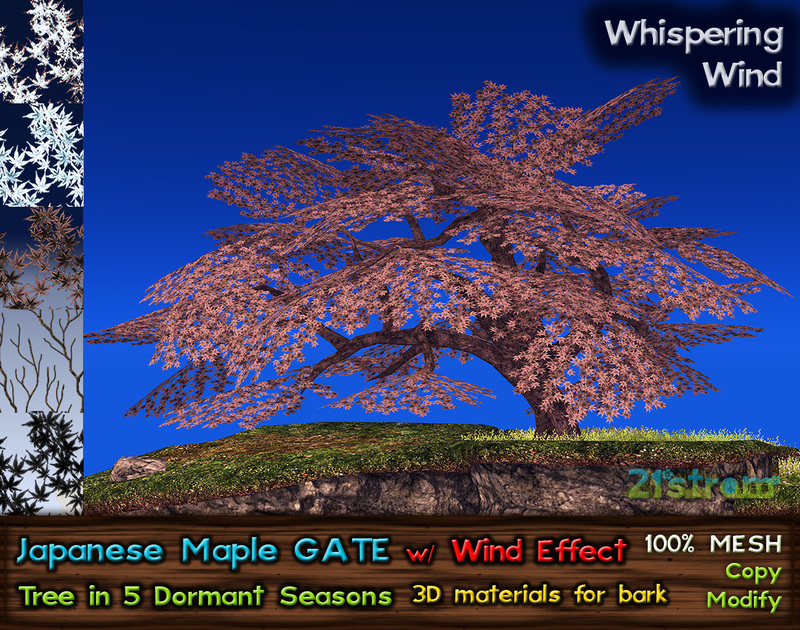 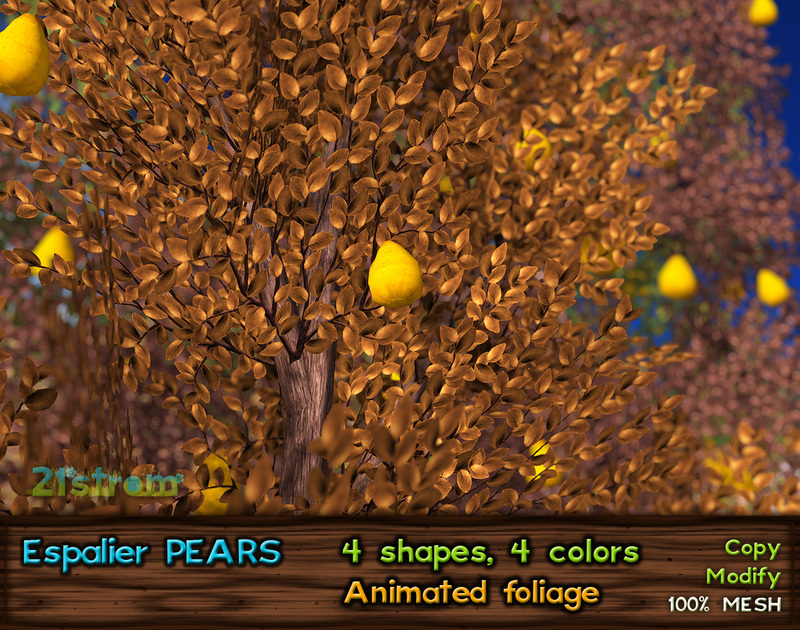 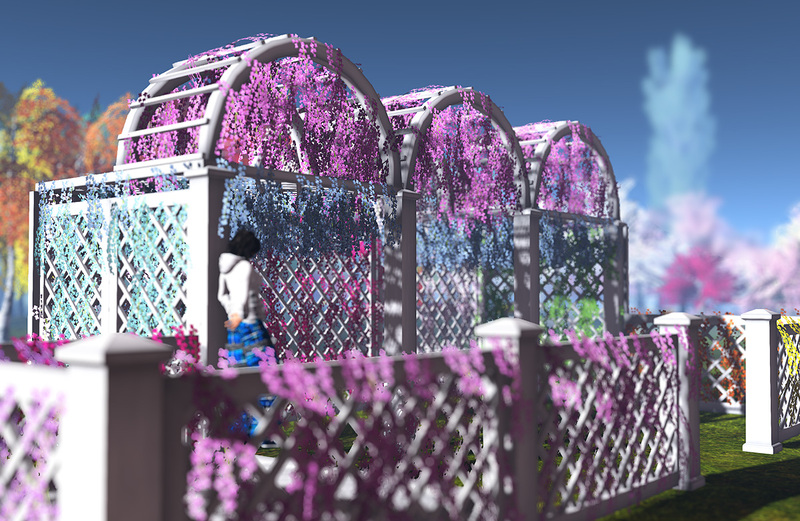 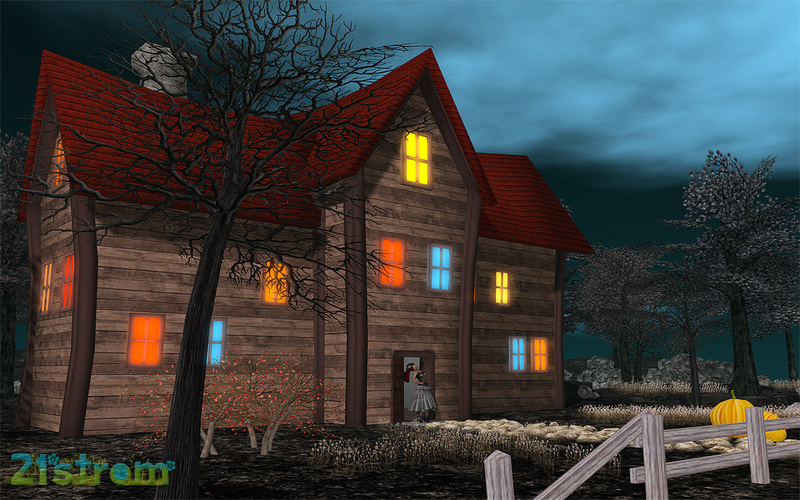 Click on object and it changes texture – 6 seasonal textures and proper 3D materials for them will be displayed on object. 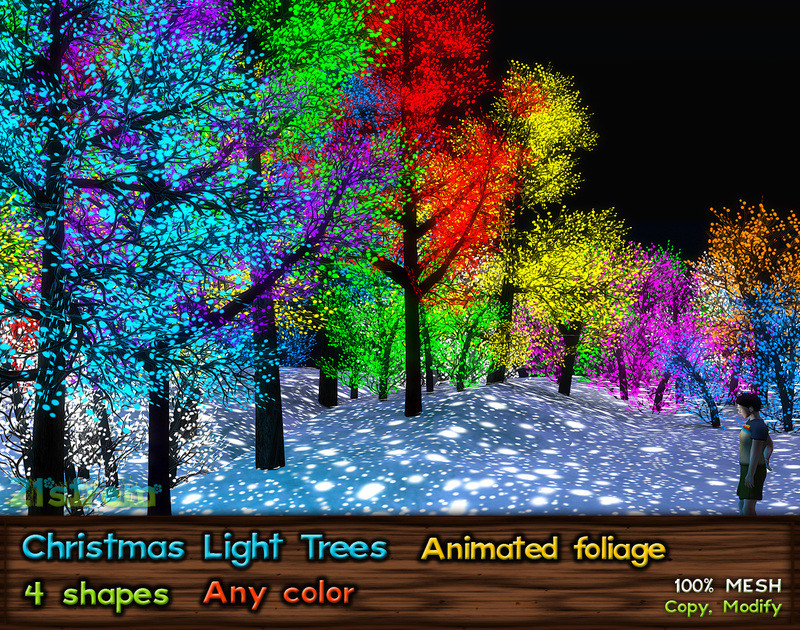 You can change shininess of material, repeating of texture, tint it, change the glow or full bright. 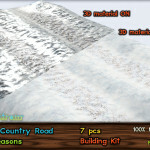 You can delete script, if your building is definitely finished. 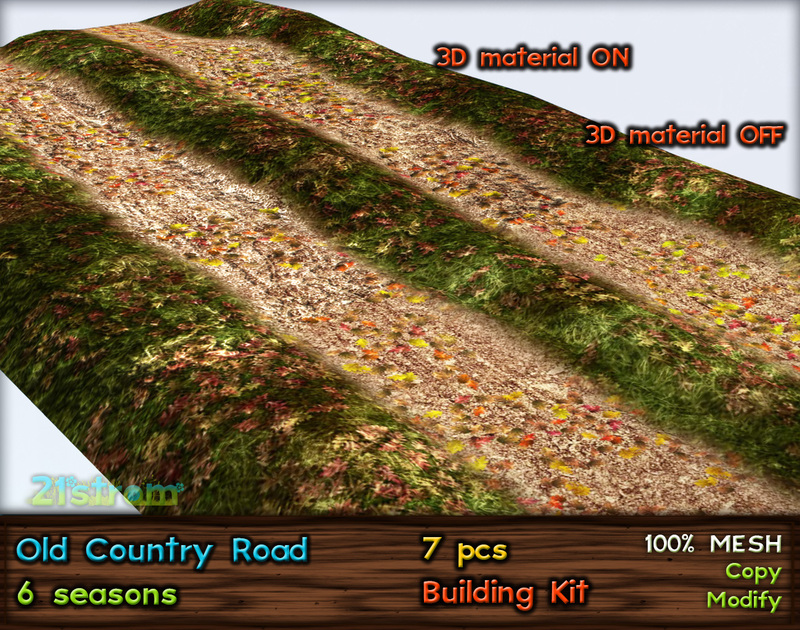 Pieces are made as one prim object, each axis can be scaled independently – height of road can be adjusted.